Wow! I can’t believe that today is the last day of 2015. It’s cray cray! I say this every year, but I’m not a big fan of New Year’s resolutions. My thoughts –> If you want to make a change, just do it! 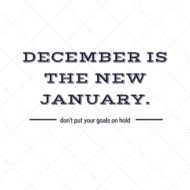 Don’t get me wrong, I’m all for goals I just don’t think you should wait for the new year to get started. It’s like the “I’ll just wait until Monday to start eating healthy again” mindset — why not just start at your next meal?!? Even though I don’t set resolutions, at the end of each year I do like to take time to reflect on what I’ve accomplished and what I’d like to work on over the next year. I also like to set a few goals. I know many people use the new year as a chance for a fresh start and will be focusing on their health and fitness goals. 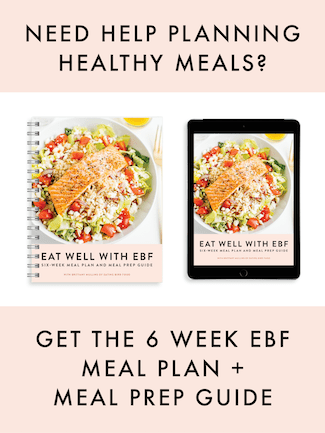 And obviously I’m all for it — especially when small daily changes are involved rather than complete overhauls or extreme diets. 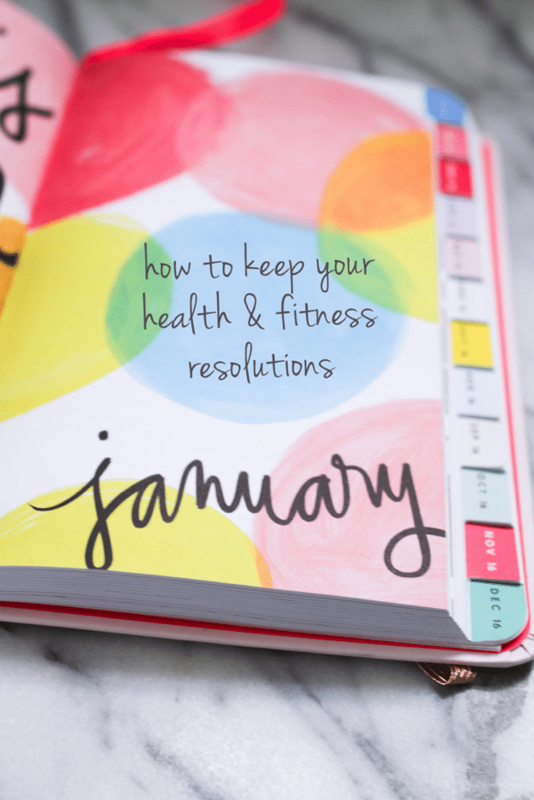 So if getting healthy is on your resolution list for 2016, I have a few tips for setting health and fitness goals and sticking with them. Find a support system. Connect with friends and family who know your goals and are willing to be supportive. Even better, find a friend or partner who has similar goals and buddy up! You’ll be able to motivate and inspire each other by checking in, sharing tips, recipes and workouts. Plus, exercise is always more fun with a friend! Track your progress. 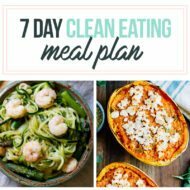 Journal your meals, take progress pictures and track your measurements every week. 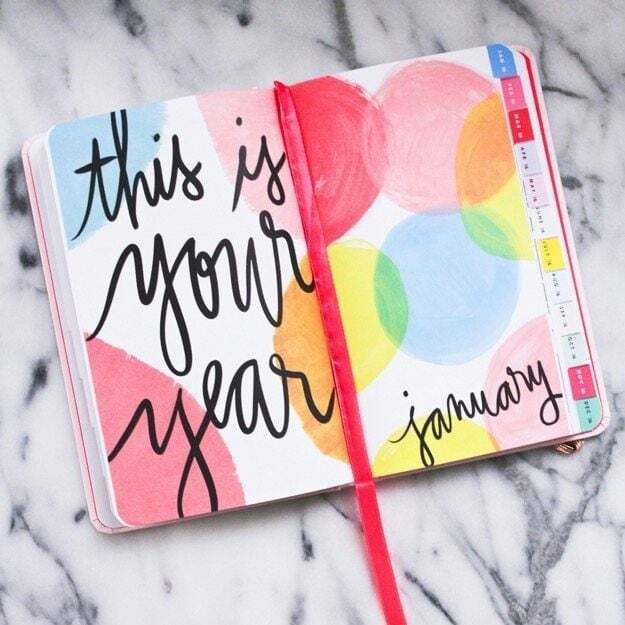 It will keep you accountable and it’s fun to look back and see how far you’ve come. Carve out time/schedule the action steps to meet your goals. In order to succeed your goals have to become a priority. Just like with work meetings or parties, put the healthy action items on your calendar. A couple ideas — add phone alerts/reminders to drink water, schedule gym sessions and plan out blocks of time for grocery shopping and meal prep. Reward yourself. Plan rewards (non-food related) for reaching specific targets along the way. New workout gear, a mani/pedi, a spa day, a massage, take a vacation, plan a girls retreat, get a new hairstyle, etc. Pick something that you’ll be really excited about. Research shows that rewards that are personal to us are great for helping to keep us motivated. Don’t give up! There will be tough days. We’re all human and it’s okay to have slip ups. One unhealthy meal or a couple skipped gym sessions are no reasons to quit on your goals. I always think of this analogy from Jillian Michaels: “If you were driving somewhere and you got a flat tire, what do you do? Get out and slash the other three? NO WAY! At least, I hope not! You get the tools you need, the people you need and you fix that flat tire. Then you can continue on the journey!” The same should be true of your health and fitness journey. I’ll be checking in tomorrow to share a recap of 2015 as well as my goals for 2016. So tell me, what are your New Years Eve plans? Are you dressing up and going out? Staying in? I’m taking Isaac to his first Orangetheory class today (wish him luck) and then we’re going to spend the evening with friends. Everyone is bringing a couple dishes to share so I’m going to make a quinoa salad and some sort of dip. We’re staying at our friend’s house and I’ve been told there’s going to be a bootcamp workout on Friday morning. I’m excited! If you are going to a NYE party tonight, check out my recent video with tips for how to keep your health goals and still have fun! I used to be against goals and resolutions but I realize that they help me do things I would never set out to do. I don’t know if it makes any sense but I have seen some personal growth in my life this past year just by setting goals! It makes a ton of sense! I’m all for goals, I just don’t think it makes sense to wait for January 1 to set them. I think they should be made and evaluated throughout the year or whenever you feel compelled. I’m going to talk about this tomorrow, but I think the act of writing down your goals is so powerful!! Ditto! I need that pretty pink planner! It’s from ban.do. (http://www.bando.com/collections/agendas) I love it! Oh my goodness, where is that planner from!? It’s gorgeous! I totally agree! I think New Years resolutions can happen all year long!! It’s nice to feel like there’s a fresh start but so many people dive in and go to extremes so by February they’re burnt out!! 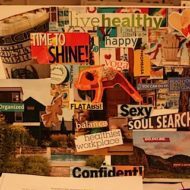 Love these tips for meeting goals. Happy new year lady! These are great tips! Making the SMART goals and then scheduling time to work on meeting those goals is so important!